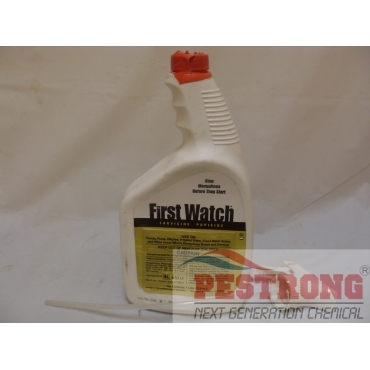 Where to Buy First Watch Larvicide, First Watch Larvicide Pupicide for Mosquitoes - Liter - 2.5 Gal - $25.95 for Sale with Fast Free Shipping! First Watch Larvicide Pupicide for Mosquitoes - Liter - 2.5 Gal kills mosquito larvae before they can develop into troublesome adults, minimizing the spread of breeding, biting and disease spreading mosquitoes. First Watch is a biodegradable, surfactant made from renewable plant oils. Using conventional spraying methods, an invisible monomolecular film spreads over standing water habitats. This film interrupts the critical air/water interface in the mosquito’s larval and pupal development cycle. First Watch is also effective in killing emerging adults, egg laying females and males resting on treated surfaces. Effective on mosquitoes and midges which cannot develop resistance to First Watch because control is through a physical mode of action. First Watch also successfully controls chronomid midges, and mosquitoes that have minimal surface contact. Fortify your defenses with First Watch. 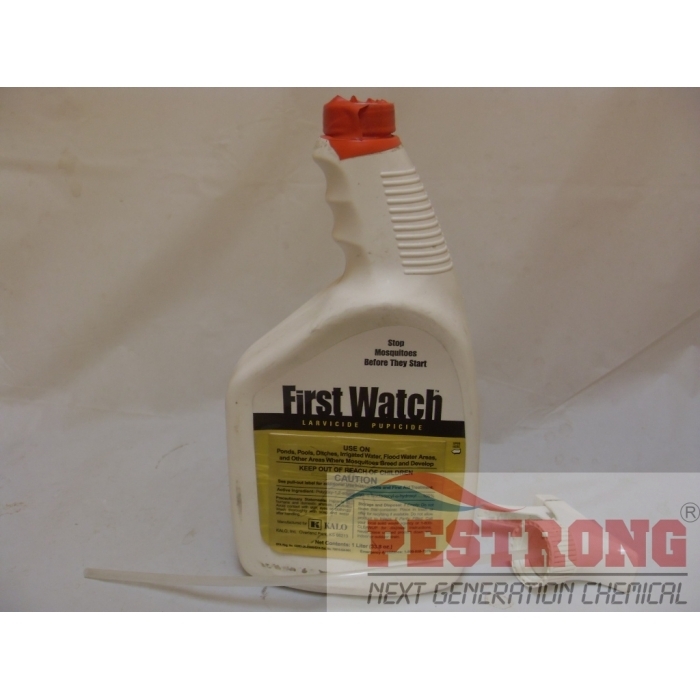 The ideal larvicide and pupicide for environmentally sensitive applications, First Watch treats water surfaces to stop mosquitoes before they start. First Watch is your first line of defense against mosquitoes and mosquito-borne illness. Application : ponds, pools, ditches, irrigated water, flood water area, fish habitats, birdbaths troughs, flower pots, urns, sewers and other water-holding receptacles. For most mosquito species, larval and pupal stages will be controlled within 72 hours. Bought it used it all around and in the sewer area, worked pretty darn well. As long as you don't keep your doors or window open you won't see those little blood suckers in your house.